Nobody likes to be interrupted for a sales pitch, or to be treated like a number. Instead, your ideal customers want to see thoughtful, compelling content that will help them make the best choice for what they need. The best way to turn strangers into friends (or loyal customers) is to build trust; that’s the driving philosophy behind inbound marketing. Attract: Help potential leads and customers find your website by offering answers to their questions. Convert: Use educational content to turn those website visitors into leads. Close: Nurture your relationship with your leads by continuing to provide more in-depth useful content until they’re ready to become customers. Delight: Maintain a positive relationship with your existing customers by continuing to provide value; this increases the likelihood that they’ll make repeat purchases or refer their friends to your company. As you can see, thoughtful content is at the core of an inbound strategy, and is used to develop trust between your brand and your ideal customers at every stage of the process. By optimizing your website to provide answers, you can build trust and see measurable results. Inbound marketing is a good fit for any company that is looking to optimize their website to generate more qualified leads. It’s especially powerful for companies with a long sales cycle that involves educating potential customers. When our clients hire us to build an inbound marketing program, we start with a strategy project. In this stage, do extensive competitor research, talk to some of your best customers, and develop a plan to create content for every stage of the buyer’s journey. Depending on your sales goals and what we find from our research, we’ll recommend a mix of blog articles, content offers (such as whitepapers, ebooks, and case studies), lead nurturing email sequences, and any other compelling and useful content that will meet your audience’s needs and help them make an educated purchase. Inbound marketing is a marathon, not a sprint. Building a library of useful sales and marketing content is not a quick, one-time effort; it involves research, strategic planning, and sustained effort. In short: there’s no defined end date for an inbound marketing strategy. 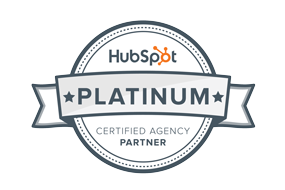 We’ve been implementing successful inbound marketing strategies for our clients since 2011. In that time, there have been massive changes in the way people make purchasing decisions online, and we’ve continually shifted our strategies to stay ahead of the curve. At Pyxis, we’re committed to continued learning, and we love implementing the best new methods, strategies, and tools to help our clients see results.